Chlorophyll is liquid sunshine. As you work to support your gut with healthy probiotic and enzyme-rich foods, chlorophyll helps in the rebuilding process with rich green nutrients that can actually feed the probiotics that are working so hard to keep you healthy.1 This gloriously green ingredient also supports the natural liver detox function and helps with blood and cell oxygenation. Green plants are the best source of chlorophyll, and chlorella powder is an easy way to boost your intake. 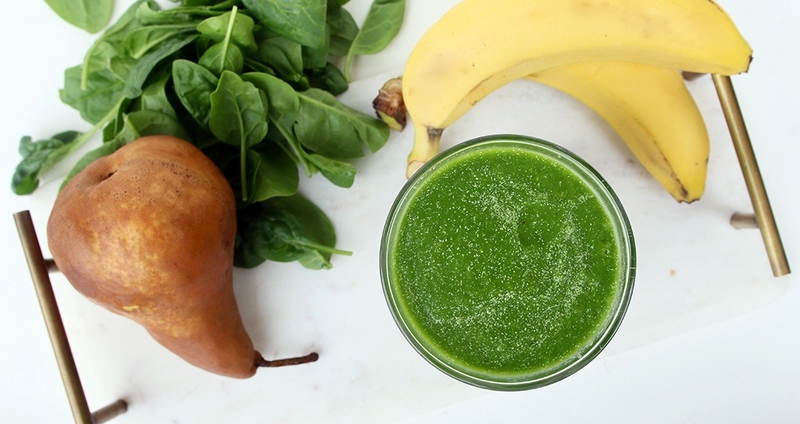 This is a refreshing and easy-to-digest smoothie. You can leave out the pineapple if you want something a little less sweet. Place all ingredients into your blender and purée until smooth. You may want to add extra coconut water or ice for a more liquid consistency. 1. Kamat JP, Boloor KK, Devasagayam TP. Chlorophyllin as an effective antioxidant against membrane damage in vitro and ex vivo. Biochim Biophys Acta. 2000;1487(2-3):113-127.